I opened the box and a balloon floated out, attached to a bottle of the new Lusciously Light Frizz Miracle conditioner. So if you’ve been a regular reader, you’ll probably know that I’ve been doing this stuff with Aussie for a while now (about 18 months? Whoa! ), and if you look at the Aussie Angel category on my blog, you’ll be able to see the brilliant events I’ve been do and fun tasks that we’ve been set to do with the brand. This is the start of a new “season” of fun with Aussie, and you now have a chance to join in! 10 people will be chosen to join the rest of us Angels by the Uncover Aussie team, based on the most creative responses that reflects the Aussie spirit – you can write, take photos, make a vlog, paint your face – whatever you think fits! You’ve got until midnight on Sunday 20th March 2011 to get your link over to @yummyhair. For full TÃ¢â‚¬â„¢s & CÃ¢â‚¬â„¢s and more info on whats needed in your post, hop (sorry, kangaroo pun necessary) over to UncoverAussie. Good luck! Oh, glad you eventually got the package! Cute dog! 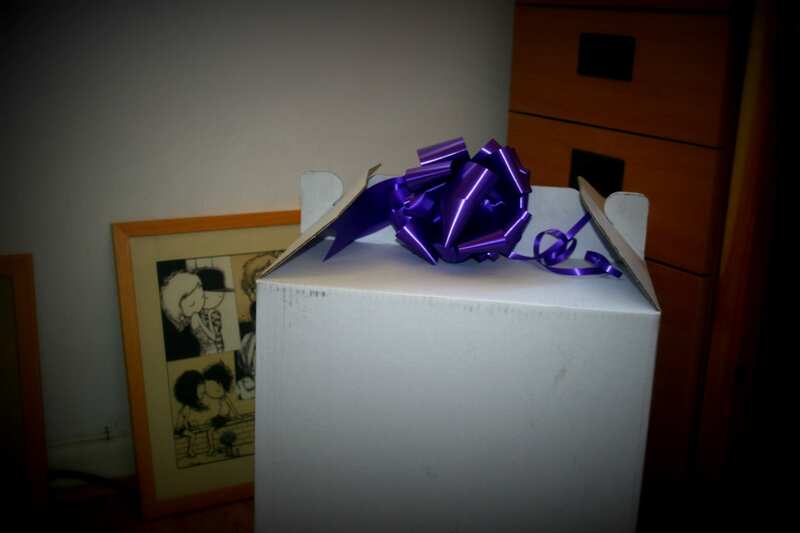 I did exactly the same with the cat and the bow – she certainly wasn’t impressed. Haha! 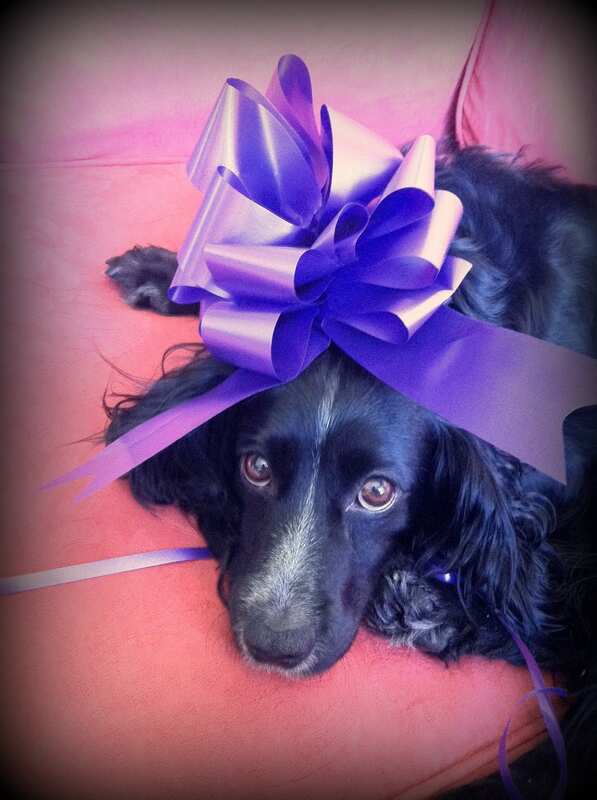 Awww your dog looks so cute under that big purple ribbon. 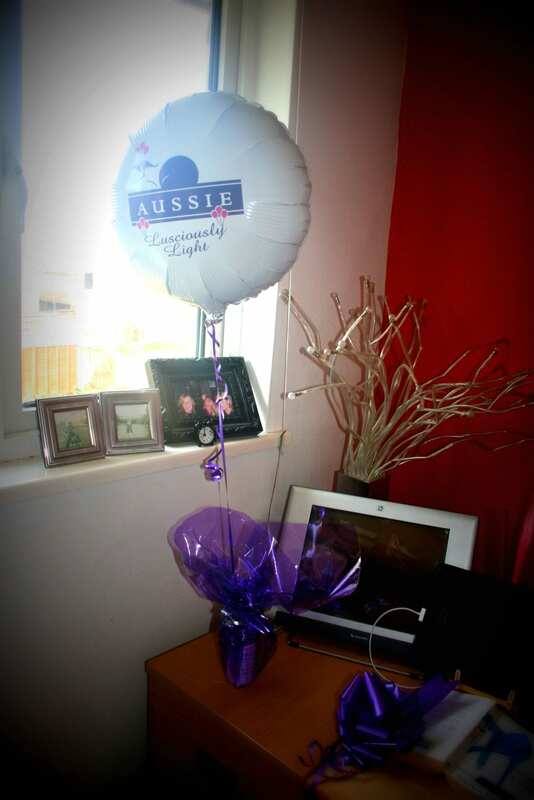 I must confess mine kinda went in the bin but of course the balloon is still floating happily in my room! I loved this surprise, though my mum isn’t that happy about the silver stars that are still on the carpet! Just the idea of a balloon floating up from a box fills me with happy thoughts – makes me think of the part in Up when all the balloons burst from the roof of his house and take him up into the sky… Joy!